On the hunt for your next Kia vehicle? You’re in the right place! 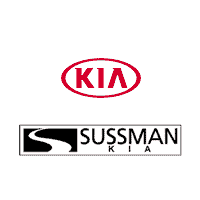 As your Philadelphia Kia dealership, we at Sussman Kia have everything you need to find, finance, and service your next new or used Kia vehicle right on-site. On this page, you’ll find more information about our Kia inventory, our friendly finance team, and our convenient, on-site service center. Let’s get started by taking a look at the many quality Kia vehicles we have to offer! We pride ourselves on keeping our inventory stocked with a wide selection of Kia vehicles, so you have all the choices you need to find exactly what you’re looking for. 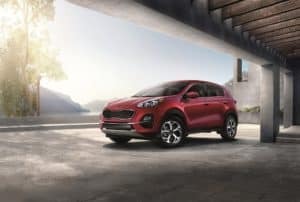 We offer dozens of new Kia vehicles in all shapes and sizes including all of the newest and most popular models including the 2019 Kia Forte, the 2019 Kia Optima, the 2019 Kia Sorento, the 2019 Kia Sportage, and more. Thinking about making your next vehicle a used Kia vehicle? No problem! We also carry a wide variety of quality pre-owned Kia vehicles on-site. No matter what you’re looking for, we’re confident that we have the Kia model for you. After you have your next Kia vehicle picked out, you’ll get to meet with our finance team. They’ll sit down with you to go over your various payment options. In our finance center, we proudly offer a variety of Kia loan options and Kia lease deals. Regardless of your budget or lifestyle, our Kia finance team is ready to work with you to put together a payment plan that meets your personal finance needs. Even after you drive off the lot in your next Kia vehicle, you can count on us to be here for you when you need maintenance or repairs. 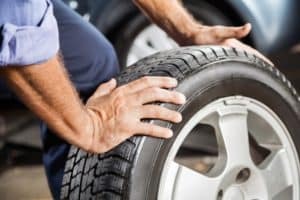 At our on-site Kia service center, you’ll find a team of expertly trained service technicians that can take care of anything from a routine oil change to full-on collision repairs. Even if you’d rather do your own maintenance, we have you covered with our on-site parts center. Explore all of Philadelphia in your Kia including its many historical sites like Independence Hall, Eastern State Penitentiary, and the Betsy Ross House. On a nice day, head over to the Philadelphia Zoo or to Penn’s Landing to take in the beautiful sites of the Delaware River. Don’t forget to grab an authentic cheesesteak at Pat’s or Geno’s. Visit Your Philadelphia Kia Dealership! Get the ball rolling with us today by browsing our Kia inventory right on our website. When you find something you can see yourself in, contact us to schedule a test drive!